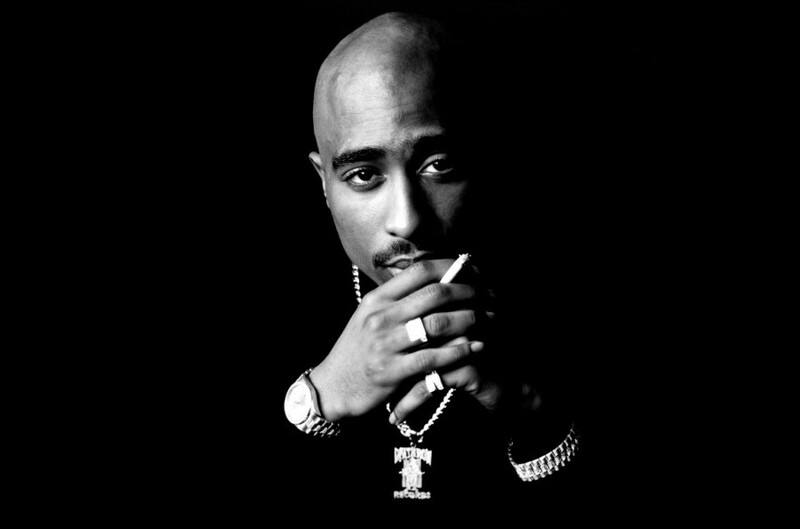 Rapper, actor, and activist Tupac Shakur addressed the mental health of the Black community in interviews, speeches, poems, and songs, at a time when the subject was rarely mentioned. In the decades since his death, those within Hip Hop have continued this work using the culture to discuss mental health and promote emotional wellness. From the Silence the Shame movement founded by industry veteran Shanti Das to Debra Antney discussing her son’s suicide on the popular show “Love and Hip Hop Atlanta”, the cultural stigma surrounding mental health is beginning to drop off. Even within the field of psychology, programs like H.Y.P.E. : Healing Young People thru Empowerment, a 12-session curriculum integrating Hip Hop culture and psychological theories, are becoming more widely accepted. 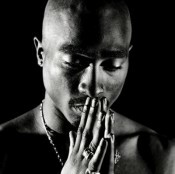 Undoubtedly, Tupac’s presence within Hip Hop culture helped blaze this trail. 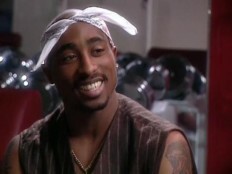 Though his career was tragically cut short, Tupac created content that remains relevant over 20 years after his murder. Through music that broached subjects often considered taboo by the mainstream, he fostered self-assessment and encouraged the young and old to aim higher. This theme was especially prominent on his second solo album “Strictly 4 My N.I.G.G.A.Z.,” released in 1993. The album bridged his street knowledge, political lineage, and sensitivity to the plight of the Black community. It also included one of the most popular songs of all time, “Keep Ya Head Up,” a classic whose lyrics uplift the spirit of Black women by addressing various factors of mental health. Through Tupac’s descriptive storytelling, “Keep Ya Head Up” brilliantly illustrates his nuanced understanding of the emotional wellness of the Black community. The following four quotes from this timeless classic highlight ways Hip Hop culture as a whole can promote mental health, as illustrated by Abraham Maslow’s Hierarchy of Needs. Maslow was a 20th century psychologist who purported the existential human desire to seek happiness and live our life purposes is the major factor in mental health. According to Maslow’s Hierarchy of Needs, attaining basic physiological needs like food, water, and shelter takes precedence over all other needs. Yet for many, the pressure associated with earning a living, unemployment, and underemployment are sources of tension. The American Psychological Association website, also lists “job stress” as a source of depression and heart disease, two conditions that disproportionately affect the mental health of the Black community. Here, Tupac describes several realities people face when trying to meet their physiological needs, that each affects one’s mental health. Within the Black community, and even Hip Hop culture, the need for security heavily influences mental health. Protecting ones being and possessions in a heartless society can be a full time effort. Remaining on the defense also shapes one’s view of their environment and self-concept. Here, Tupac suggests tapping into “the man in me” or one’s “inner man” is a key factor in maintaining ones mental health while navigating through hostile environments. Black women are the foundation and heart of Hip Hop culture, which is a reflection of their role in the Black community. Black women have been the leaders nurturing and elevating the nation for centuries yet remain one of this country’s least protected groups. Although Black women are the most entrepreneurial, educated, and consistent voting demographic in the U.S., the 2017 “Status of Black Women in the United States Report” found this group is underpaid, unfairly targeted by the justice system, and underrepresented in politics. Here, Tupac calls out this opposition towards Black women and offers solutions to counter it. If social media existed in Tupac’s day, the #THUGLIFE (The Hate U Gave Little Infants Fucks Everybody) hashtag would probably be included in most of his posts. Coining this acronym early in his career suggests Tupac recognized the power of words, acknowledged love’s role in the elevation of our culture, and knew the certain death that would come by withholding said love. As such, when the elders withheld this love in the 1990s, he inspired the youth of the day to be our greatest selves for our personal betterment and that of society as a whole. He understood that words are seeds and the 21st century would require our resourcefulness, brilliance, and overall sauce. This is self-actualization and self-transcendence; realizing one’s human potential to unite and serve beyond the individual self. As we celebrate the release of the biopic “All Eyez on Me” and reflect on Tupac’s broad influence, remember he was an advocate for mental health. He saw depression, posttraumatic stress disorder, psychosis, and anxiety affecting the Black community and used his platform as an artist to bring awareness to it. Tupac understood the mental health of the Black community was dependent upon the emotional wellness within Hip Hop culture, and he became the light. It is now on us to push the movement even further. 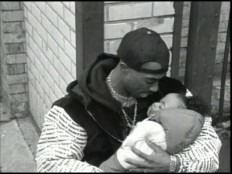 Happy Birthday Tupac Amaru Shakur.